If you have ever been on a long airplane flight, then you, of course, know how difficult and uncomfortable it can often be to sit down for such a long time with very limited opportunities to move. Stretching every day is extremely important, and especially so during a long flight. However, there are a limited amount of stretches you can do on an airplane with the space around you as well to make sure you are not bothering the people around you. 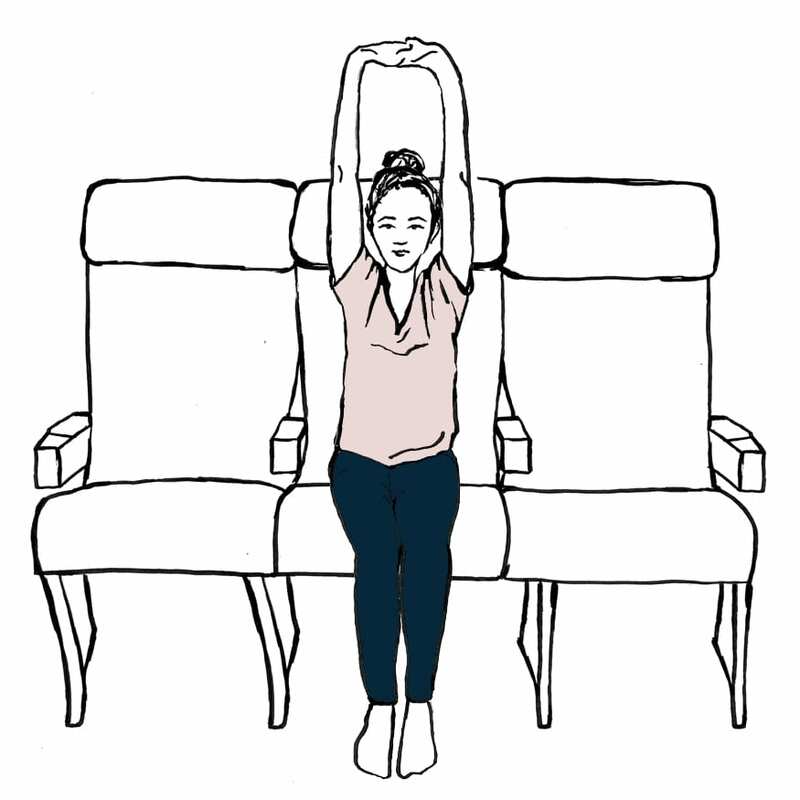 Here is a list of 5 simple stretches that can be done from your seat that you need to try during your next flight. They require no extra space and do not create any hassle to any other passengers. While sitting in your airplane seat, sit straight up and raise your right knee to your left shoulder. Hold this position for 30 seconds to a minute. Then repeat this process with the other knee and other shoulder. You will feel a stretch in the outside part of your hip, and it will feel oh-so-good. Another very useful stretch that can be done for your airplane sit is bringing your knee to your chest. While sitting tall with your back straight, bring your knee up to your chest, and then repeat this simple move with the other leg. You will thank yourself when you get off the plane and do not feel completely tight. As you sit in your airplane seat, reach forward in the same way that you would as if you were about to tie your shoelaces. If you feel a stretch in your lower back, hamstrings, and hips, then good, it is working! This is a wonderful in airplane stretch. Take your right ankle on top of your left knee in the shape of a four. Push down on your knee in order to stretch your left hip. While doing this make sure to sit as straight as possible with a tall back. Then repeat this with the opposite leg. As you sit in your airplane seat almost completely stretched, make sure you do this one last and important stretch. Take your right hand and put in the outside of your left knee, then carefully pull your knee in order to rotate your torso to the left. This should move your spine in a full rotation. Then repeat on the opposite side. On top of doing these simple in-seat stretches, if you can it is also a wonderful idea to stand up from your seat and talk a walk down the aisle as much as you can. It will keep your blood flowing and get your muscles moving. And always remember to keep hydrated, which is needed from joint lubrication. Follow these moves and you will be sure to have a more pleasant and comfort flight, as well as stay flexible and prevent injury from occurring.